lost his sight due to the mustard gas he was exposed to in World War I (WW I). The research started with documenting Eugene’s great-uncle. First, I located Eugene Thomas Shanklin in the United States Censuses from 1900 – 1940. Secondly, I obtained his WW I and WW II draft registration cards. Third, I obtained his death certificate. Fourth, I contacted the Department of Veterans Affairs. Fifth, I contacted the National Arlington Cemetery. Sixth, I researched at the Library of Virginia (Archives) for any information on Eugene’s military service including his WW I discharged questionnaire. 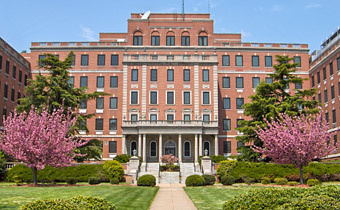 Seventh, I obtained information on the Veterans Hospital in Hampton, Virginia. Eighth, I researched the Library of Congress concerning Eugene’s great-uncle’s military Company, Infantry Regiment and Division. Ninth, I researched information at the United States Army Historical Archives’ databases. Tenth, I researched him through the Alexandria City’s directories. Using all of these resources, I was able to write the article on Eugene Thomas Shanklin. In doing this article, the golden nugget was finding out that Eugene served with the 92nd Division known in France as the “Buffalo Soldiers.” My great-great uncle, John Henry Muse (Lovelace), was a Buffalo Soldier who fought in the Indian Wars and in WW I. Maybe they knew each other. If you want to share your African American family’s contribution to the history of Alexandria, Virginia with me, contact me through my blog. If I decide to write about it, I will do the research and make their history known. You can read the Alexandria’s article on Eugene T. Shanklin: Buffalo Soldier, WW I Veteran on page 9 at http://connectionarchives.com/PDF/2018/081518/Alexandria.pdf. This entry was posted in Black People of Alexandria and tagged Alexandria Virginia, Eugene Shanklin Drayton, Eugene Thomas Shanklin, France, WW I Buffalo Soldier. Bookmark the permalink.